Maximilian Schlosshauer, Johannes Kofler, and Anton Zeilinger have published a survey they did that is titled A Snapshot of Foundational Attitudes Toward Quantum Mechanics. Their survey involved a total of 33 participants from a a conference on the foundations of quantum mechanics. This attitude was prevalent in Bohm’s time as well. However, slowly things seem to be getting better despite what this particular survey portrays. 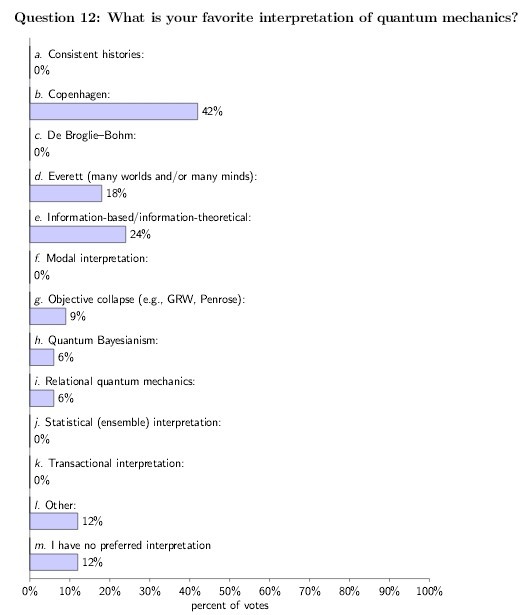 Interestingly, only 21% of the participants stated that Bohr’s view of quantum mechanics is correct.